What’s more terrifying? Being chased, being found, or knowing that something awful could be around any corner? 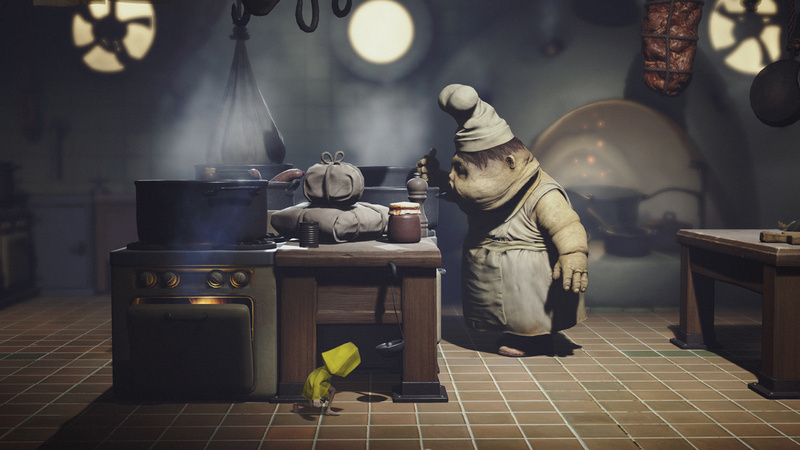 Little Nightmares, from Tarsier Studios, is an exercise in answering all these questions. 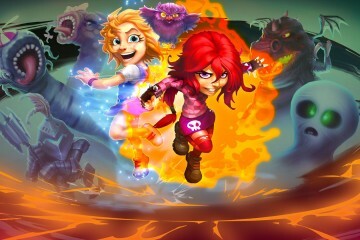 The game world is a twisted vision of a child navigating an oversized adult landscape. 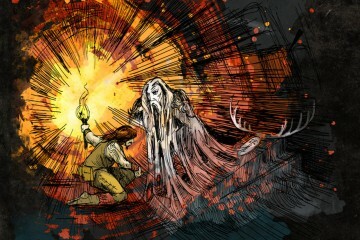 ‘6’, a tiny, yellow raincoat wearing girl, flees through the mechanical innards of a vast ship known as the “Maw”, armed with only a lighter as a defense against the dark. 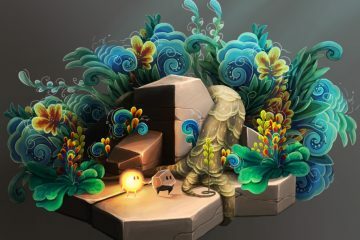 The disproportionate size of objects encountered adds an atmosphere of surreal helplessness as you run, crawl, climb and solve grisly puzzles, all the while hunted by monstrous caricatures of grownups. Little Nightmares is most easily compared to Playdead studio’s, now iconic, Limbo and Inside. These games are mechanically similar, as they are all primarily side scrolling platformers, with essentially no dialogue or exposition. 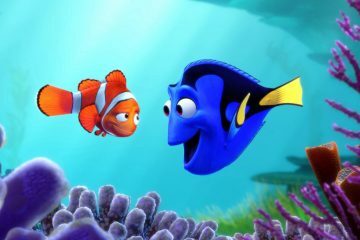 The story is told through your actions and subtle, mostly silent, suggestions from your environment. However Little Nightmares does enough to set itself apart from its inspirations. The biggest difference is a literal sense of depth. 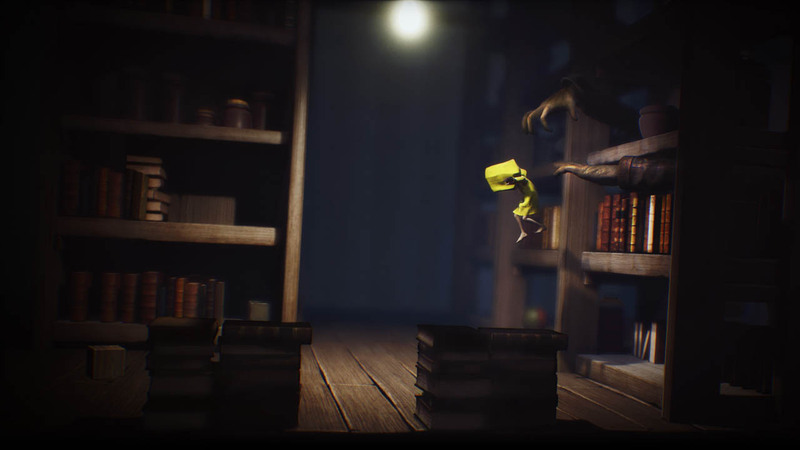 While Playdead’s games are entirely left to right, Little Nightmares allows the player to move in three dimensions through each stage. This makes encounters with enemies particularly tense, as instead of just fleeing for the edge of the screen (though you’ll still be doing that a bunch), you can also crawl under beds, clamber onto shelves and generally squeeze yourself into any available recess to avoid detection. 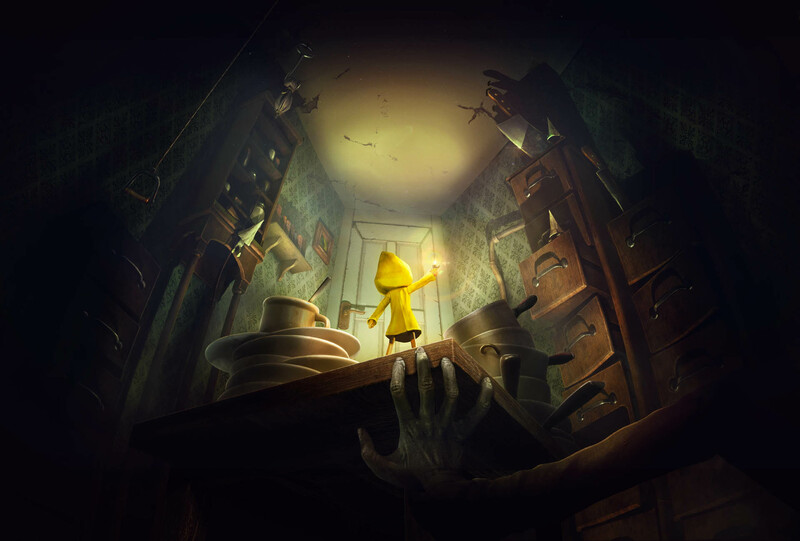 Interacting with the world of Little Nightmares is often disturbingly tactile, as Six will only interact with objects as long as you hold down the ‘Use’ button, giving the player more of a sense of connection with their action in the game world. This is even true of climbing, if you take your finger from the button for an instant, Six will fall. While this sounds like a minor detail, when combined with with excellent sound and art design, the experience of grinding meat to solve a puzzle, or prying a rat from its trap, become even more viscerally unsettling. 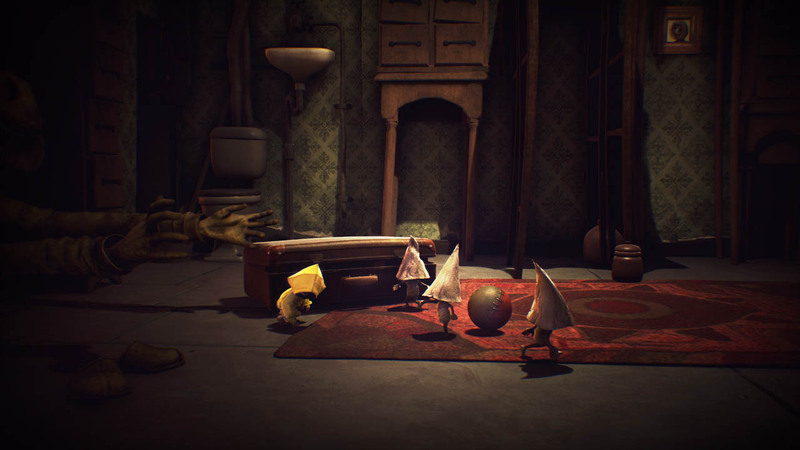 At crucial moments however, Little Nightmares is also strangely sweet. The game knows when to give the player time to breathe between moments of panic, peppering its dark stretches with moments of light, whether as a helping hand from a stranger, or simply a glimpse of the sun, sea, and freedom outside. As for the games faults, they are minor but still apparent. Whereas Limbo and Inside were elegantly simple, delivering a perfectly polished, but mechanically basic experience, Little Nightmares allows the player to interact with the world in more complex ways. This often makes the gameplay richer, but minor bugs occasionally leads to irritating platforming sequences, in which Six won’t interact with what you need her to, or you miss a jump you certainly should have made. 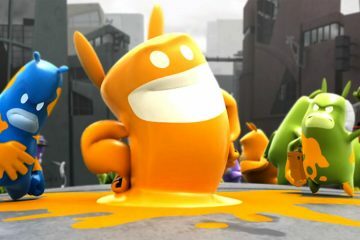 A few rough edges still show in graphical hiccups as well, with enemies occasionally moving through solid objects or interacting clunkily with their surroundings. 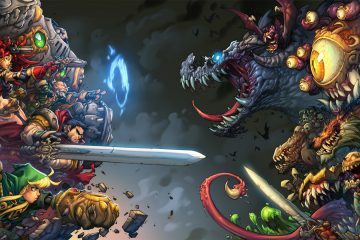 The game is also relatively short, which I was fine with, but some players may find frustrating if they are seeking something to sink dozens of hours into. 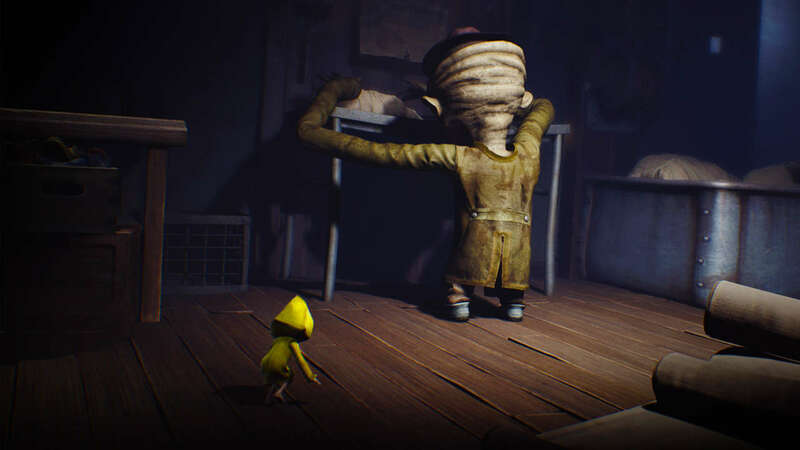 Overall, I would recommend Little Nightmares to anyone who likes their games scary, sweet sad, and strange. Tarsier Studios have taken a now familiar formula and made something uniquely unsettling, but layered through with a poignancy that will stay with you long after the final credits have rolled.